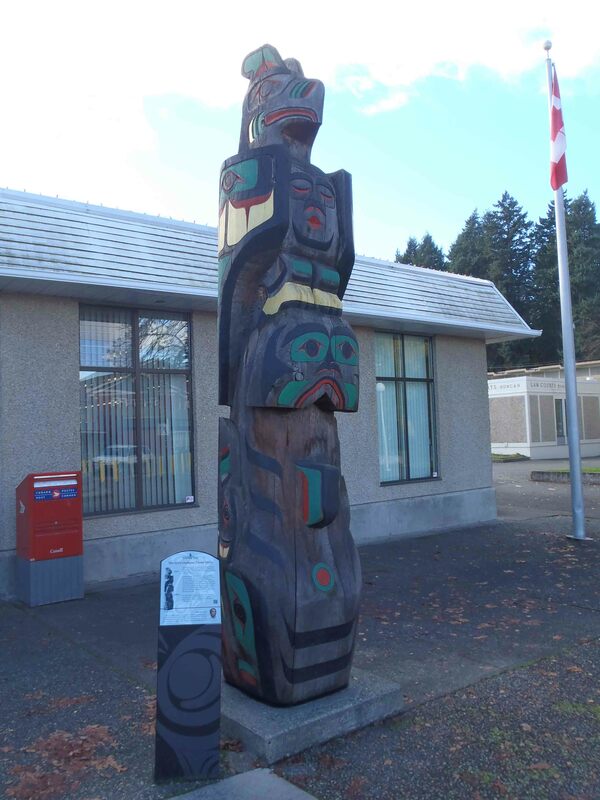 The Gwa’yasdams Flood Story totem pole is located outside the Valley Seniors Center on Government Street at Station Street, in downtown Duncan. It was carved in 1988 by Basil Jones. 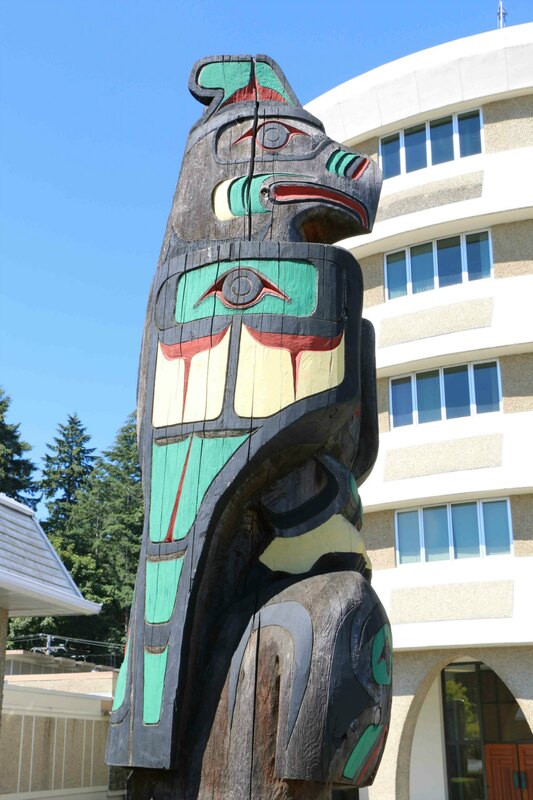 Gwa’yasdams Flood Story totem pole, Duncan, B.C. 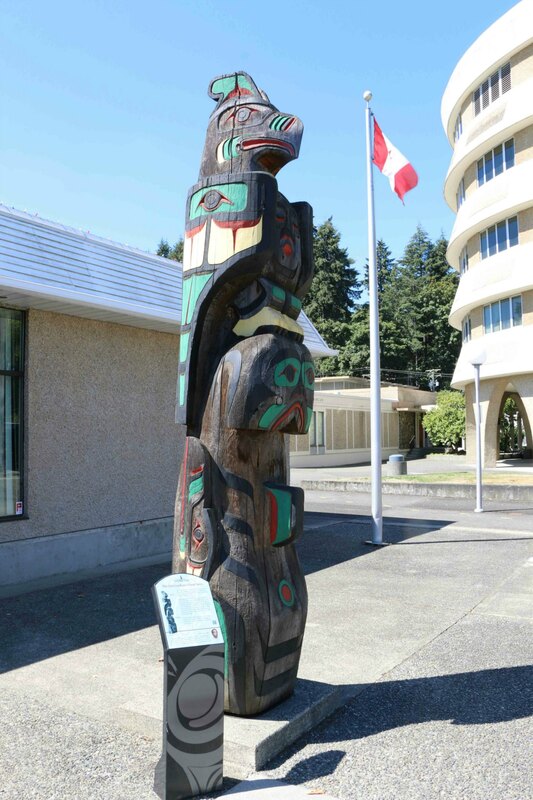 Basil James described the pole as being inspired by a flood story told in a community on Gilford Island off B.C.’s Central Coast about the Thunderbird coming from Mt. Stephens, a 1592m (5223 feet) peak in B.C.’s Coast Range, northeast of Nimmo Bay and west of Kingcome Inlet. 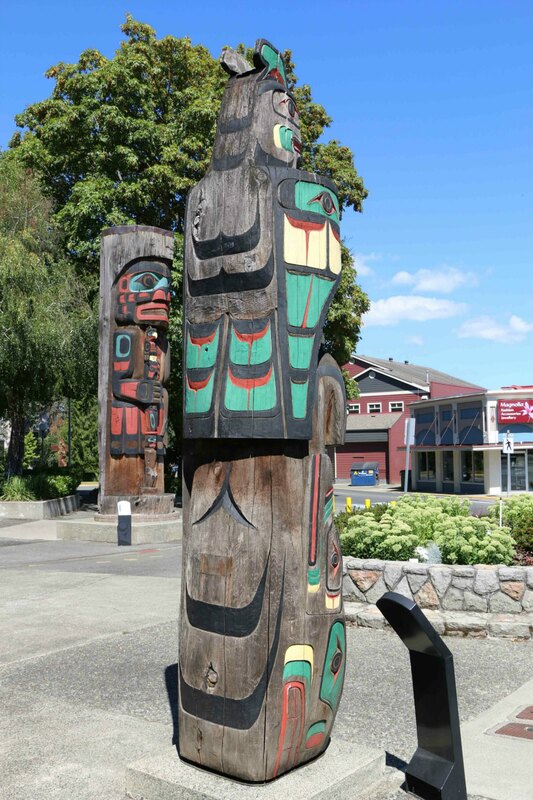 Other symbols on the pole are family crests of the carver’s family. Gwa’Yasdams Flood Story, Government Street at Station Street, downtown Duncan.